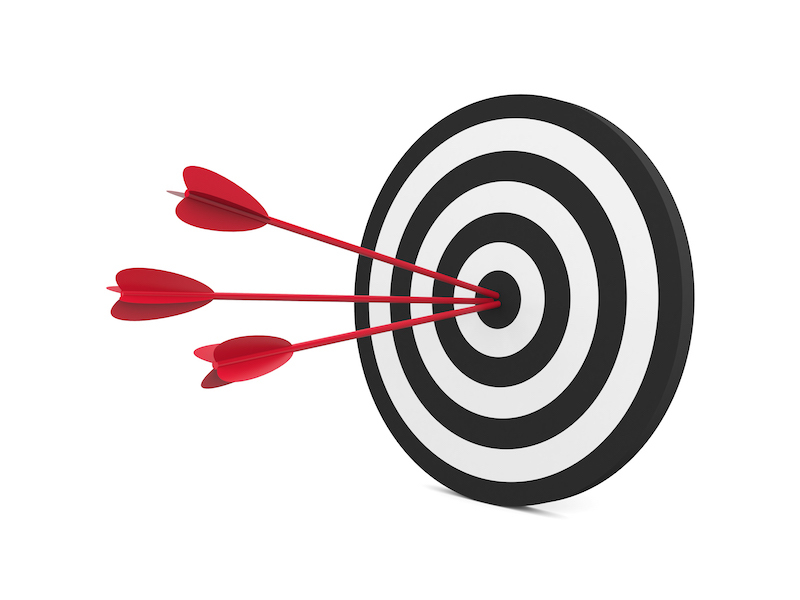 Retargeting helps you bring back visitors to your website who have visited your website in the past but didn’t convert. According to AdRoll, only 2% of visitors buy on the first visit. This means 98% people who visit your website don’t buy, so you’ll have to bring them back to convert them into buyers. Imagine you have been spending lavishly on the advertising campaign but only 2% of all that paid traffic converts. Depending on your conversion value, this abysmal conversion rate could ruin your ROAS. But even if your ROAS is good, why not make it even great by increasing your overall conversion rate? Retargeting can help you in bringing those visitors back and it improves ROAS significantly because it gets easier to convert people who know you instead of people who don’t know your brand yet. You can create a variety of Facebook retargeting campaigns to increase conversion rate and to improve ROAS; however, the following retargeting trio is will outperform all other techniques in terms of improving ROAS with your Facebook ads. Facebook dynamic product ads let you promote your products automatically to people who have visited your website or have shown interest in your website or a product. Dynamic product ads helped Target increase its conversion rate by 20% and the Honest Company was able to reduce cost per purchase by 38% and increased CTR by 34%. These dynamic product ads are extremely targeted ads that show ads to people who are more likely to convert based on their interaction with your website, product, a subscription form, etc. The most relevant product is promoted that a potential buyer is most interested in. The interest and likelihood of buying a particular product are determined by how a person has interacted with your website in the past. So if someone added a product to cart or read the description of a product on your store or viewed your subscription form but didn’t convert, dynamic product ads will remind the visitor via highly targeted Facebook ads about his interaction with your website/product. The best part: It is done on complete autopilot. You need a complete product catalog, Facebook pixel, and a dynamic ad template. 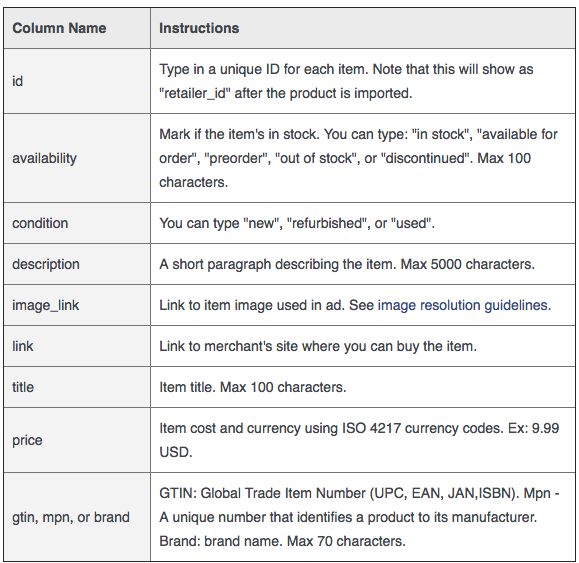 The ad template will pick product information like product name, description, discount code, product image, and other characteristics from product catalog file. If a customer interacted with Product A, he or she will get to see ads about Product A and possibly other related products, depending on how you configure your campaigns. 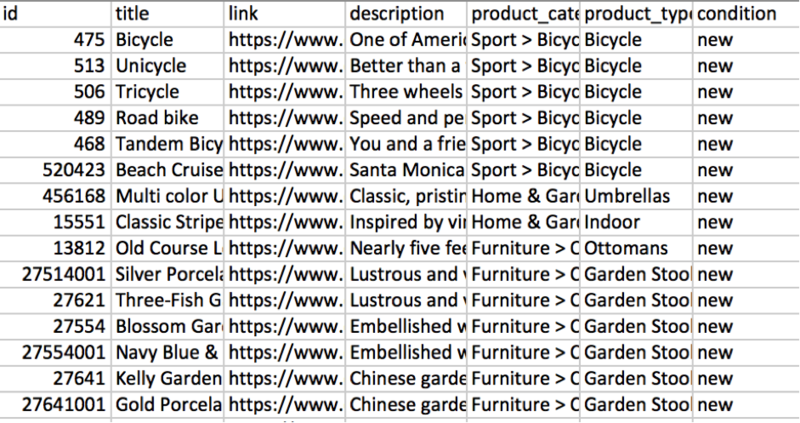 You can build a catalog by using a file like the one below, or a link to a data feed. Facebook provides a template here. Flexibility; you only need to create one campaign, ad set and ad, to cover an entire product catalog. 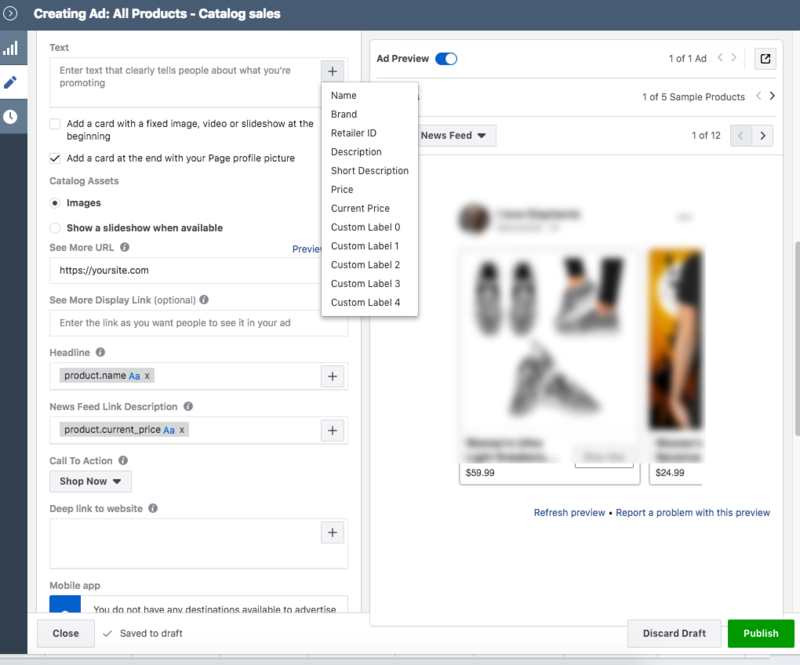 Facebook will display the exact product(s) your prospects visited and/or added to cart, without you having to do any extra work. Versatility: You can customize who sees your ads, depending on actions they performed. You can show your ads to people who added a product to cart, or you can show them only to people who added payment information. Or, you can use them to upsell/cross-sell products to people who completed a purchase. If you feel creative, you can even use them to thank people who made a purchase. Now let’s talk about some disadvantage of dynamic product ads. As much as they are awesome, DPA can’t cover all possible types of objections. Lack of versatility: ok, wait a minute, you just said that DPAs are versatile. What’s up with that? That versatility has its limits though. Let’s say you want to overcome an objection that might sound like this: “I wonder if this product really works; also, is it as easy to use as they say?”. Overcoming this type of objection with a DPA ad might be challenging. We’ll show you a better alternative in a minute. Lack of specificity: Because you’re covering a wide range of products, your ad language might have to be a bit general. You can’t refer to a specific product, which might make your message a little less persuasive and effective. Luckily, there are other types of retargeting you can use to overcome this disadvantage. People might have objections to your product which stop them from taking action. If this is the case, your retargeting campaign will fail and no matter what you do, your retargeted ads won’t work. The only way they will work is when you’ll handle people’s objections and will try to overcome them. Tommie was trying to promote Organifi, a green juice supplement. But it wasn’t working for Tommie. People assume that Organifi had a bad taste. It was expensive as hell. Tommie ran a video ad that promoted the supplement. The purpose of this video ad was to drive people to the landing page. People who watched 50% of this video but didn’t convert were targeted by another video which specifically addressed price (first objection). This video explains why Organifi is expensive than all the other green juices in the market. People who watched 50% of the second video (price-focused) but didn’t convert, they were targeted again with a third video that exclusively focused on taste (because the price wasn’t an objection for these people). Viewers were offered a free sample so they could taste it. This is how Tommie handled customer objections via retargeting. You don’t have to necessarily use this exact approach. You can use videos or better yet, you can use a detailed blog post that addresses multiple (or all) objections so you don’t have to screen people through multiple retargeted ads. Run your ad campaign and drive traffic to your landing page. Understand why people aren’t converting. List down all the possible objections and reasons that stop them from converting. You can conduct a survey of people who didn’t convert with the retargeting campaign. Create a detailed long blog post that addresses all the possible objections. Use Facebook retargeted ads to drive people to your blog post who didn’t convert previously. Alternatively, you can use a regular link ad with long copy that addresses their concerns. 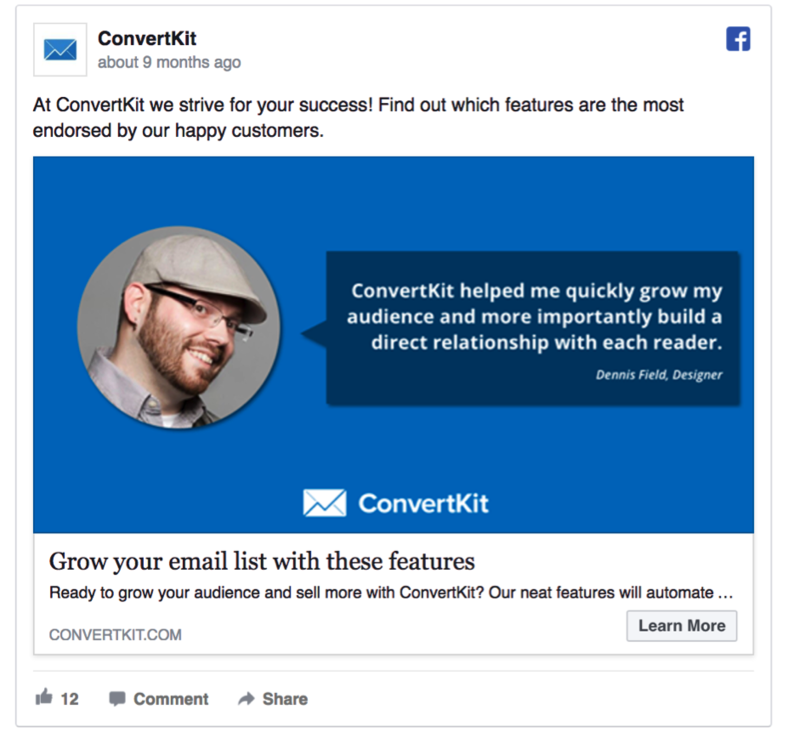 Using testimonials in your retargeted Facebook ads help with cross-selling and up-selling. It equally works well for people who haven’t converted yet after reading your detailed blog post. See how ConvertKit uses customer’s testimonial to generate sales. When using testimonials, you can target existing customers by showing them new products that they haven’t tried. This will improve ROAS significantly because it is easier to sell your existing customers than people who haven’t purchased from you yet. This retargeting trio has the potential to boost your overall ROAS. Of course, you’ll have to test different creatives, measure your results, make changes, measure results again and so forth. You have to use these three retargeting techniques simultaneously to target visitors from multiple angles. Dynamic product ads should persuade them to come back and buy, objection handling ads will address their objections, and testimonial ads will show them what they’re missing and establish trust via social proof. This will help you convert a maximum number of visitors into customers. You shouldn’t leave people who visited your website and left without converting. Get back to them, bring them back, and ensure that they convert by addressing their issues. Even if they don’t buy, you should ask them why they didn’t purchase from you. (Hint: your cart recovery email sequence will help you achieve that). This information will help you tweak your retargeting campaigns and ads by addressing objections. People don’t buy by chance. And when they don’t buy, it isn’t by chance either. Don’t leave them alone either way. 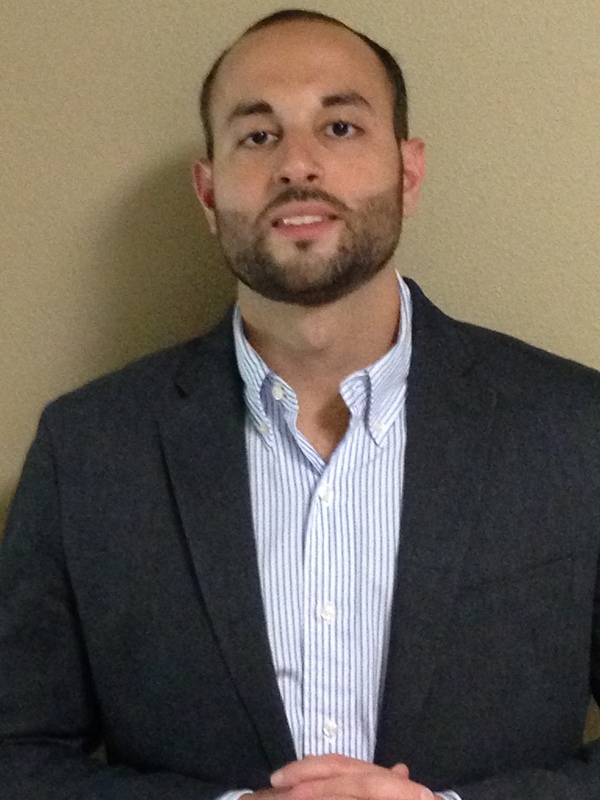 Jeremy Salem is the President of SmartStep Media, a digital marketing agency, and an author, product creator and online business strategist at Digital Traffic Ace. He is also a diehard sports fan, who constantly paces around the coffee table and screams at the TV during games. Beyond that, he is well-known for paying $22 every three weeks for a haircut, even though he's been going bald since his senior year of high school. Lastly, his "professional" photo that you see on this website was actually taken by his wife in their kitchen on a random Tuesday morning. Learn how to turn ice cold traffic into HOT leads and happy customers. Subscribe below! Copyright © 2018 Digital Traffic Ace. All rights reserved. | Design by SmartStep Media LLC.